After a successful experiment with daliya (cracked wheat) and suji (semolina), I tried to include daliya with oatmeal. The result is droolworthy. Dry roast daliya and grind them to powder. Daliya needs to be coarsely grounded. Mix daliya powder with oatmeal. Add curd, salt and keep aside for 30 minutes. Mix required amount of water for idli batter. Add baking soda to the batter and mix. Steam for 10-15 minutes. 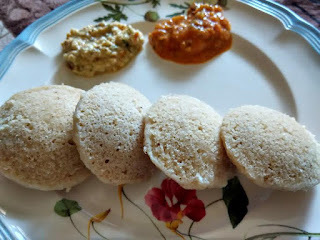 Enjoy with mooli sambar or chutney of your choice. 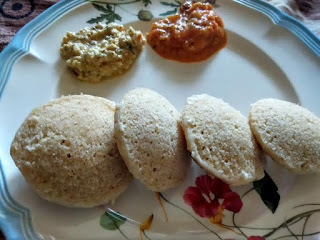 I relished it with tomato chutney and chana chutney.